A mother is like a flower; each one is beautiful and unique. To the mothers who believe in us more than we believe in ourselves, love us more than anyone else can, and matter more than words can express, we want to celebrate you! 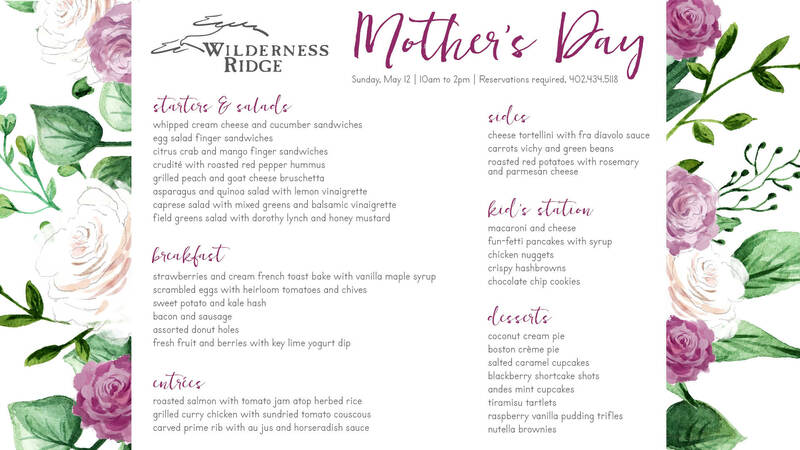 Gather your family and treat the women in your life to a “feet up, hands off, mimosa in your hand” kind of day at Wilderness Ridge. Click the “Photos” tab to view the menu!